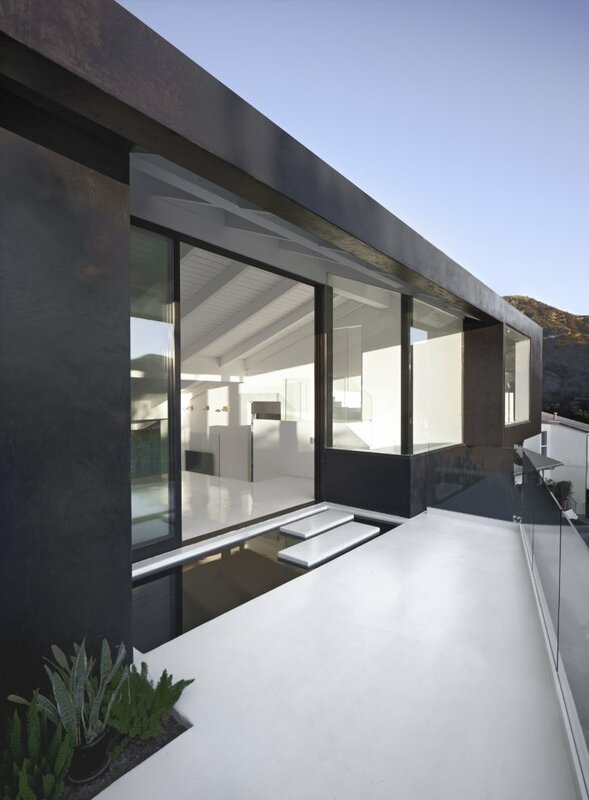 I love the abstract design of this house that is a remodel of a 1960’s hillside home in Los Angeles. 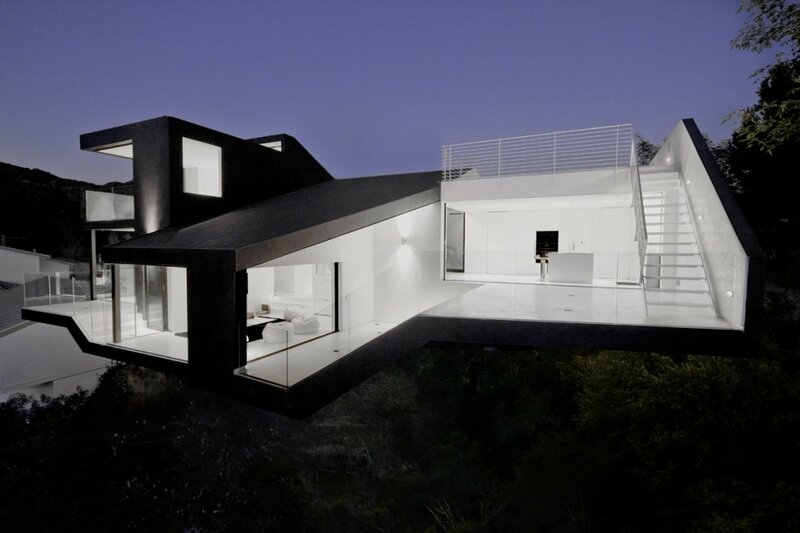 The abstract architectural choices are highly appealing making it angular and fresh creating numerous interesting spaces. It connects to the nature highlighting the natural beauty of the hillside surroundings. My favourite aspect of the house is how the interior smoothly flows outdoors that connect with modern sliding panels. The large terraces extend the interior where the white colour blends all rooms together. I also love the balanced accents of black, especially the framed windows that act as focal points. This has a clean and crisp effect with a refined end result. The interior is made up of various material, such as lacquered surfaces, glass and epoxy resin floors. I think the wooden ceiling is magnificent, it looks quite Scandinavian adding a touch of warmth to the house. The irregular floor leveling creates new spacing without needing many walls and the large windows combined with the open floor plan maximizes the spectacular views. I love this place… when can I move in? I love this space, the large white stairs with the lights on the side and how it connects so naturally to the kitchen. This would be a perfect space for dining outdoors! I think the architects have balanced the contrast spot on… not too drastic nor to bland. Not a bad view for a bathroom!